ATLANTA, GEORGIA-March 18, 2019 — Stamps Scholars Janelle Chavez (University of Texas at Austin) and Saurabh Kumar (Georgia Institute of Technology) are recipients of the 2019 Knight-Hennessy Scholarship, joining two Stamps Scholars who have previously received the award. Named in honor of Stanford alumnus and businessman Phil Knight and former Stanford President John Hennessy, the program supports graduate students who are leaders in addressing a variety of issues around the world. Janelle Chavez, from Port Isabel, Texas, is pursuing a M.D. at Stanford School of Medicine. Chavez will graduate this spring with a bachelor’s degree in biology with honors from UT Austin. On campus, she was the Student Government health representative, an ambassador for the Health Science Scholars Honors Program, and the co-founder of the UT Global Surgery Student Alliance. She also served as a health policy intern at the Texas State Capitol, a United Nations Novus Summit delegate, a Health Leadership Apprentice at Dell Medical School, and a research assistant at MD Anderson Cancer Center. She was named a National Cancer Institute R25E Fellow and received the UT Austin College of Natural Sciences Leadership and Service Award. 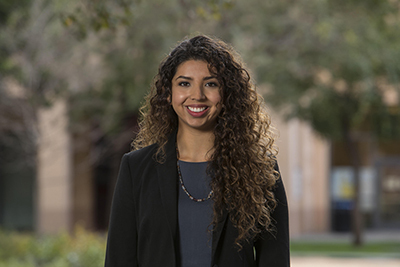 As a Knight-Hennessy Scholar at Stanford Medical School, she aspires to use technology to improve lives in and out of healthcare clinics, to increase healthcare accessibility, and to promote well-being through prevention. 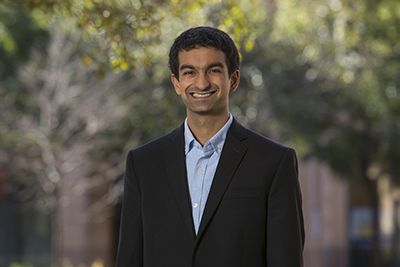 Saurabh Kumar, from Palatine, Illinois, graduated from Georgia Tech in 2018 with a degree in computer science and a mathematics minor. At Georgia Tech, Kumar conducted research in reinforcement learning, an area of artificial intelligence focused on sequential decision-making. He participated in computer science hackathons and built applications that used machine learning techniques for social impact. During college, he also interned in machine learning at Google and Yahoo. Outside of academics, he was a member of Aarohi, an Indian classical music organization, and helped organize Khayaal, Georgia Tech’s Indian classical music festival. For 18 years, he has studied the tabla, an Indian classical percussion, and regularly performs at concerts. Previously, he received the Barry Goldwater Scholarship and was named the College of Computing Undergraduate Teaching Assistant of the Year. He is currently an Artificial Intelligence (A.I.) Resident at Google Brain. He was one of the main contributors to Dopamine, an open-source machine learning framework. As he begins his Ph.D. in computer science, Kumar aspires to advance A.I. and continue to grow as an Indian classical musician. These Scholars join a legacy of excellence. In addition to the two previous Knight-Hennessy Scholarship winners from Georgia Tech and Dartmouth College, Stamps Scholar alumni include Rhodes Scholars, Marshall Scholars, Harry S. Truman Scholars, Churchill Scholars, Barry M. Goldwater Scholars, and Schwarzman Scholars.